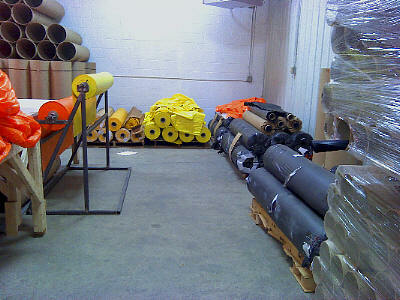 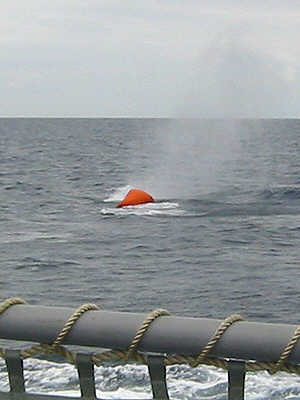 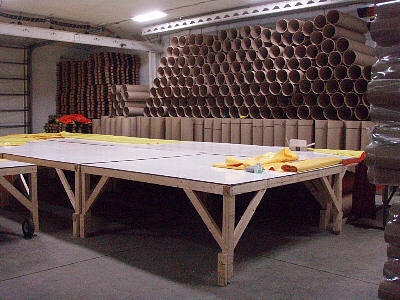 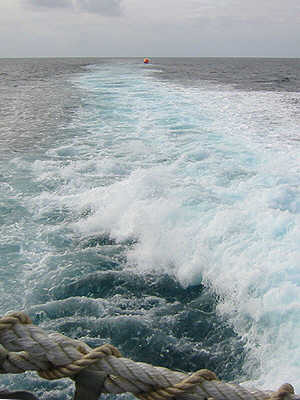 Surface Naval Gunnery Targets (NavTGTs) are made from 260 LB rolls of heavy duty 12-mil PVC vinyl film in Orange, Yellow and Lime Green colors. 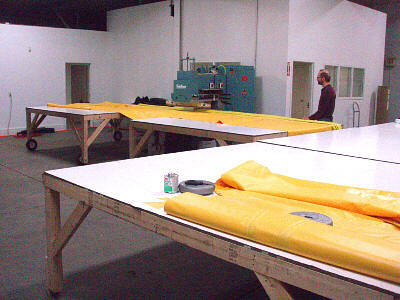 Submerged skirt bases use Black PVC film. 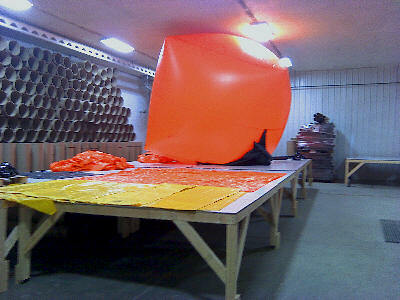 Each NavTGT balloon is basically a single very large cell filled with AIR. 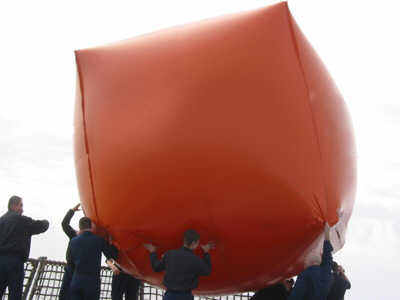 NavTGTs with a skirt base, water floods the base to stabilize and anchor the balloon to the surface when afloat. 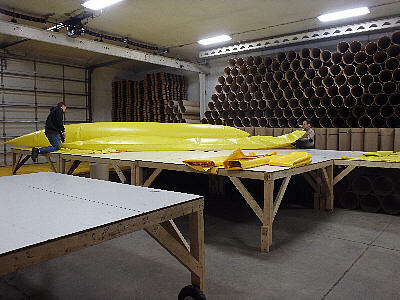 There is little internal structure. 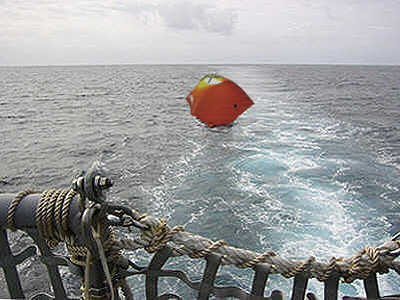 NavTGT balloons are not practical to be filled with any other substance, particularly not with a chemical foam which would severely complicate disposal after use. 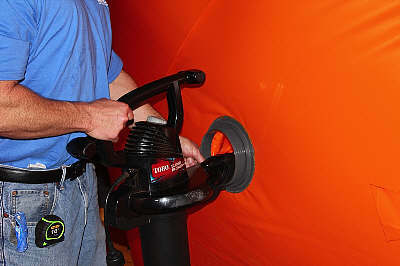 NavTGT balloons are filled using a standard "leaf blower" type of device or any HVAC, pump, or engine exhaust duct which can be channeled into the balloon. 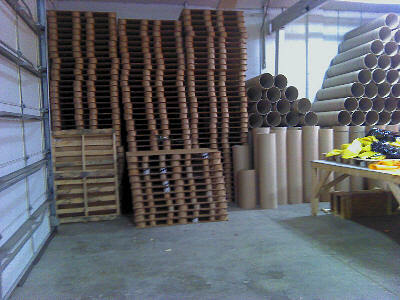 All air chambers are made using PVC film. 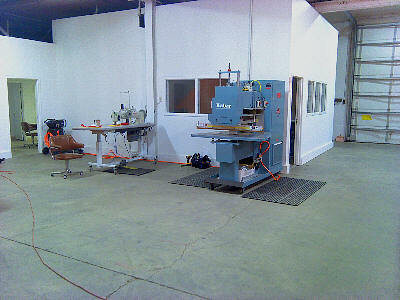 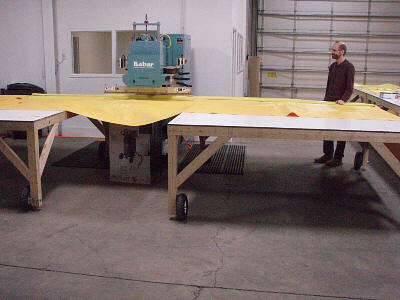 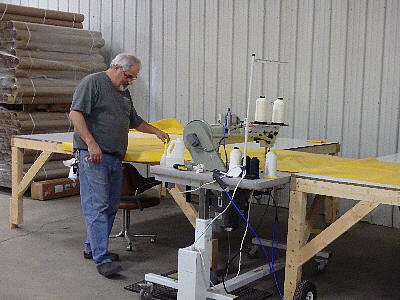 PVC film segments are assembled with a Radio Frequency (RF) welder. 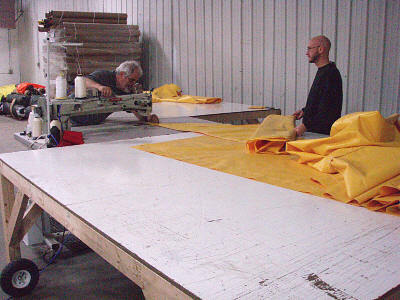 Killer Banana™ NavTGTs also have a 2-inch wide 18-foot long nylon webbing stitched into the multi-layer PolyVinyl fabric keel attached to the parachute harness D-ring by which it is towed. 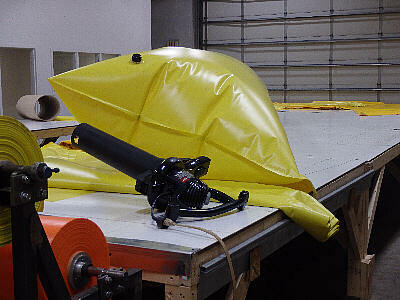 Air chambers are then RF welded onto the keel. 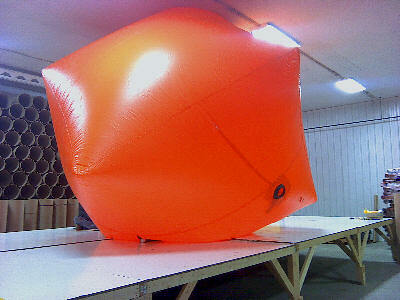 Bogie Blimp™ airbourne NavTGTs are made from lightweight PolyUrethane film and are filled with Helium or Hydrogen gas.